So I obviously never got the post written that was supposed to be up yesterday. But, never fear! You can still win a book from me today! Go to JoJos Bookcorner, where I’m a guest blogger and read my post about Adrian Paul. 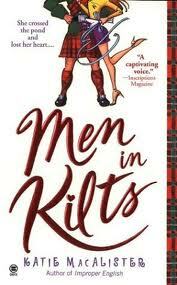 Then leave a comment and you could win Men In Kilts by Katie MacAlister.